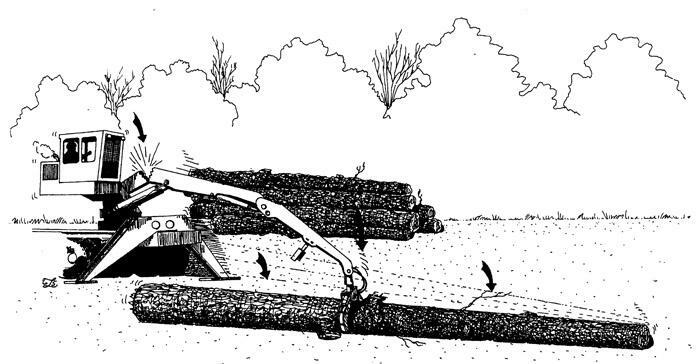 Southern Loggin’ Times’ March issue spotlights North Carolina’s Mark Long, the owner of Lake Creek Logging who has been committed to shovel logging in low-lands for several years. 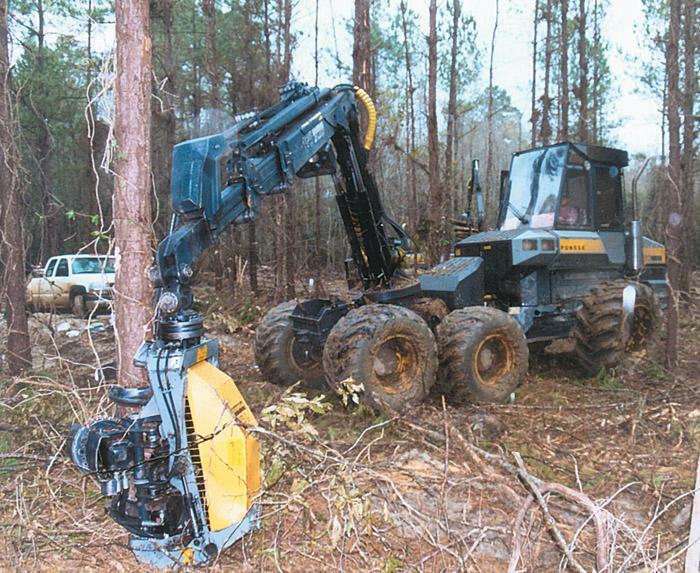 Also featured is Louisiana’s David Greer, a twenty-two year old logger who has built a solid CTL business with a used Ponsse system and sheer determination. Arkansas’s Lawrence Land & Timber, owned by Rex Lawrence, is highlighted for growing right alongside the state’s plantation forests. 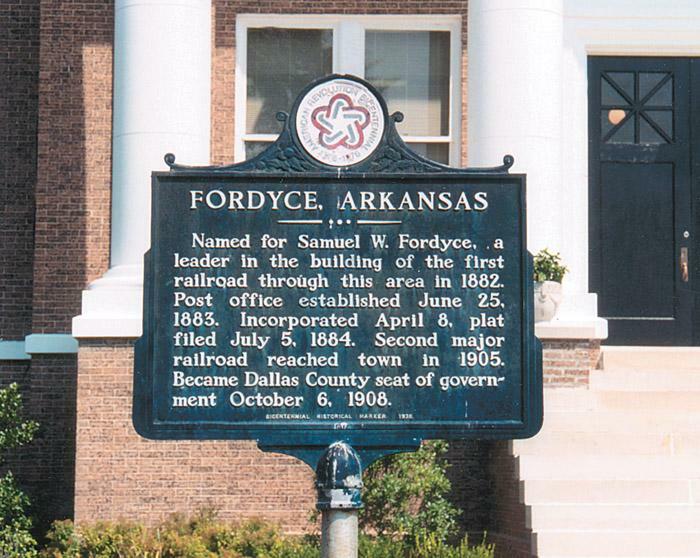 An article discusses a history of timber prosperity that began over a century ago for a small mill town in Arkansas. In just two years, 22-year-old logger David Greer has made his mark in the Louisiana timber industry. But that’s just half of the story. The real story is how this young workaholic acquired nearly a million dollars worth of equipment with barely enough credit to buy a used automobile. 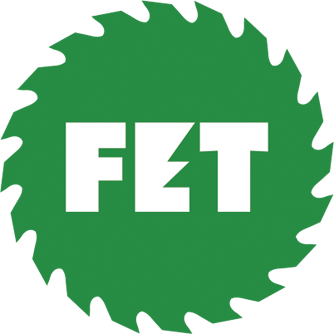 When he first courted someone to finance his business, understandably, bankers, equipment dealers and anybody with half of a brain balked at the idea of loaning an untested 20-year-old enough money to buy a CTL system. You can almost trace the development of Lawrence Land & Timber, Inc. (LL&T) by following the harvest cycles of Arkansas’ pine plantations. 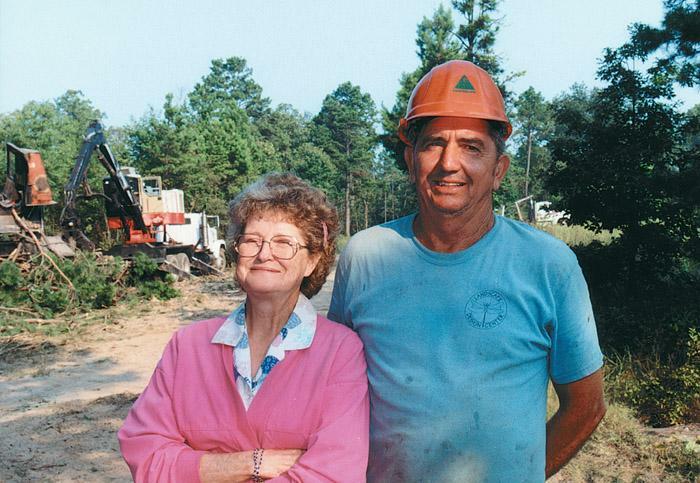 The family business, whose roots reach back to the shortwood days of the late 1950s, was the seventh in-woods chipper hired by Weyerhaeuser to perform first thinnings in the state. Seven years later, owner Rex Lawrence saw an opportunity to move to the next level. It’s a small southern town, 68 miles due south of Little Rock, with Arkansas Highway 8 and U.S. Highway 79 as thoroughfares. The homes are quaint, some well preserved from an earlier era, others tucked in the shade of massive pines. Downtown hosts a series of historical buildings, most in current use, housing offices and an assortment of shops. Other antique buildings are in various stages of restoration. Ray Dotson Logging was scheduled as my first stop on a week-long Arkansas adventure. I merely expected what we editors sometimes take for granted: an independent logger, his crew, some equipment and the logger’s personal recipe of how he runs his show. Take photos and then on to the next stop. That’s the routine; yet often, how the first interview goes sets the tone for the rest of the road trip. Thirteen years ago this month, SLT’s March 1990 cover highlighted the operations of Darrell Flurry, Flurry & Son Logging Co., Jasper, Tex. Flurry contracted with Temple-Inland, delivering as many as 110 loads per week. Iron included a 1978 Prentice 410 loader and three Timberjack 450 skidders (’83, ’85 and ’87 models). 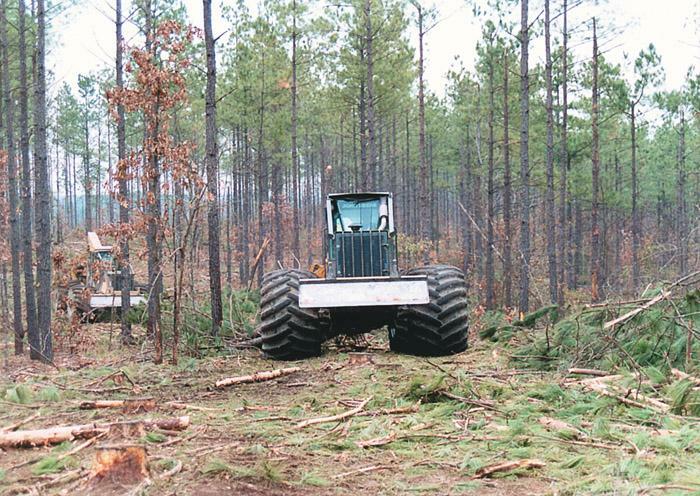 When SLT visited, all those years ago, the logger was trying a new Timberjack 450 skidder to replace one of his older models. It was the second of February, 1903, that our first logs began to come. We had an excellent flood, and all preparations were made for it. The boom was completed; men were watch­ing for the signs of the flood; and finally, it came. It so happened that the logs caught inside the boom jammed, and the swiftness of the river current began sucking the logs out from under the jam. 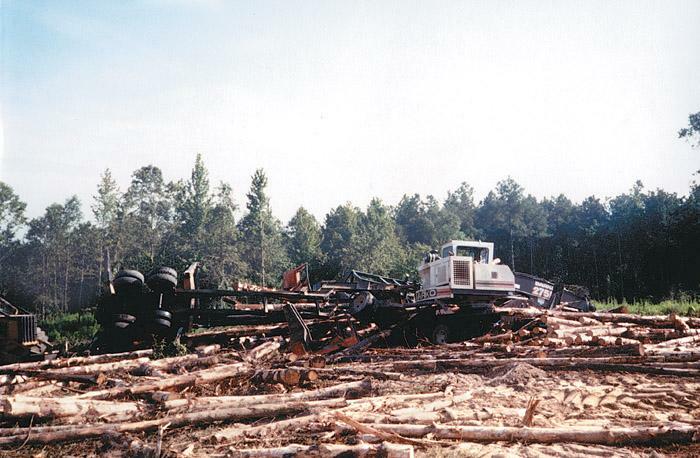 Several loggers in Arkansas were hit hard by vandalism in 2002. George Burris, sales manager for Wilson Equipment Co., Inc. in Sheridan, reported that vandals struck two loggers on the same night last August, damaging machinery, trucks and timber. Edward Talbert, a partner in Talbert Logging of Benton, says the company had been on-site for about a week when vandals struck. 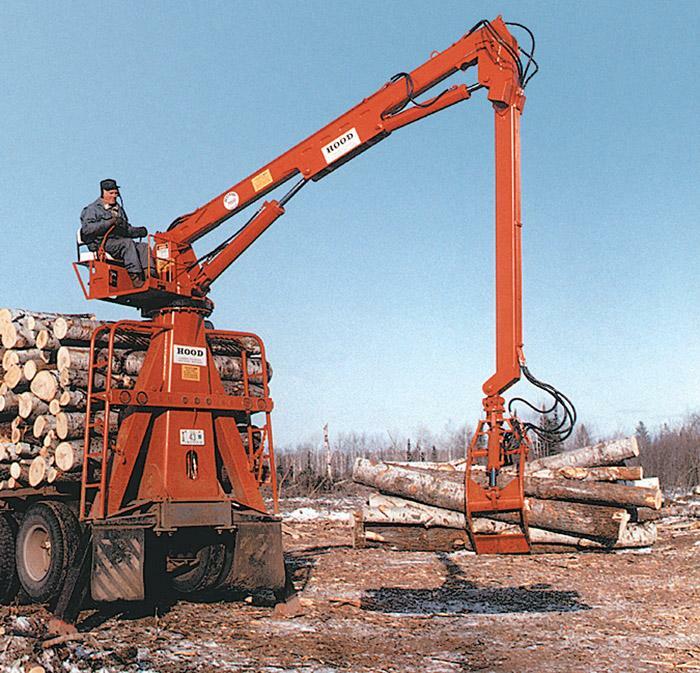 A knuckleboom loader operator was processing average sized, treelength hardwood stems into logs at a wood yard. The experienced operator, in his mid-40s, was considered fully trained, and he proactively supported the company safety program. There were over 8,000 accumulated operating hours on the load­er, and there were undetected hair­line cracks on the loader’s main boom. Hood offers the 7000 and 8000 series hydraulic loaders with larger main cylinder, T-1 frame construction, large turntable bearing and larger boom pins. Three mounting options are available: truck mount, back of cab and tail mount and trailer mount. Boom cylinders feature integral counter-balance valves. All cylinder barrels are heavy wall tubing. Pistons and glands are cast iron and feature replaceable wear rings.